We are a National Association of Landscape Professionals Landscape Industry Accredited Company! Our professional designers will work with you to layout your vision. A proper landscape design creates a comfortable outdoor living environment including functional aspects, coherence of natural and man-made elements and enhanced visual appeal while considering safety, security and conservation of natural resources; ultimately creating a sustainable landscape environment. The landscape design also assists with decision making, cost calculations, long term planning and shares the vision between the owners and the contractor. Several different landscape elements can be used to achieve your ultimate outdoor dreams: patios, walkways, screen walls, retaining walls, overhead structures, water features, landscape lighting, plantings, mulches, fences, gates, outdoor kitchens, fire features, stone and boulder elements, recreational items such as trampolines and splash pads, and many more. 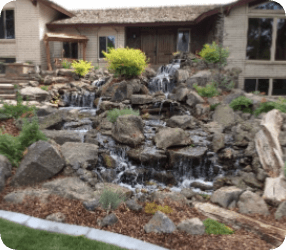 Kimberly Nurseries Landscape & Irrigation knows how to best utilize the elements to create the outdoor living space you have always dreamed of. 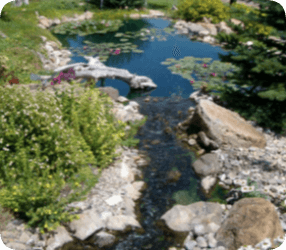 A professionally designed irrigation system is essential in ensuring the success and beauty of your landscape. 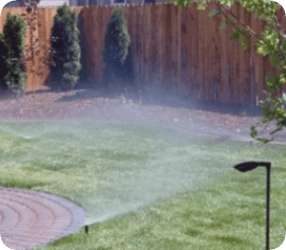 Our experienced and certified installers use high quality materials along with the latest water saving technology to create a water-wise irrigation system that will perform consistently for years to come. As a Rainbird Qualified Contractor we offer long term service and warranties in addition to full service yearly maintenance programs to keep your system in top condition. At Kimberly Nurseries, we know irrigation! Enhancing Your Outdoor Living Space Since 1907!